Similar to the corrective A-B-C wave 2, the corrective A-B-C wave 4 can also exhibit a flat structure in which A and C end at pretty much the same level and the B wave ends near the same region where A begins. It is absolutely possible for the B-wave low to be slightly lower than where the A wave up begins. In the 4th wave position, it is common/possible for one to confuse the B-wave low as the final 5th wave — when in actuality, the 4th wave has not yet finished, as there remains a C-wave of that 4th wave before the actual 5th wave down that exceeds the low of the B-wave. If we then see strong downside movement — then we should be beginning the wave 5 down. 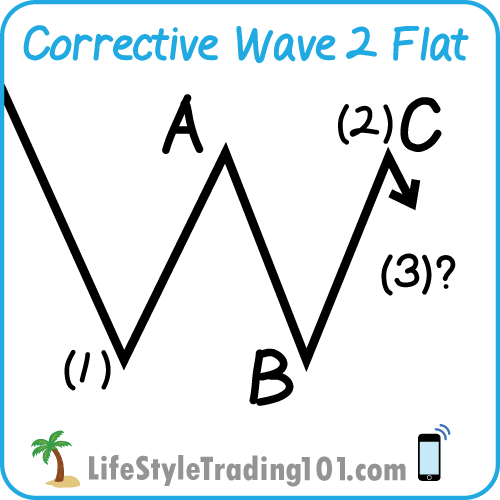 Wave 4 corrective A-B-C’s, like the wave 2 versions, can take the form of a FLAT. Oftentimes, the size of these A-B-C of the wave 4 should be noticeably larger in size than the size of any corresponding wave 2 A-B-C flat. On the daily chart (zoomed out) – it’s that upper whisker on that last red candle on the right in the January 2016 region — that was the attempt up in the c of the 4th wave up before 5th wave down. Near the bottom right between pink labels 3 and 4 — we can see an a-b-c that shows the 4th wave a-b-c corrective flat. Notice that the bottom of b is lower than where 3 is and that the top of c is close to the top of a, but does not necessarily exceed it. 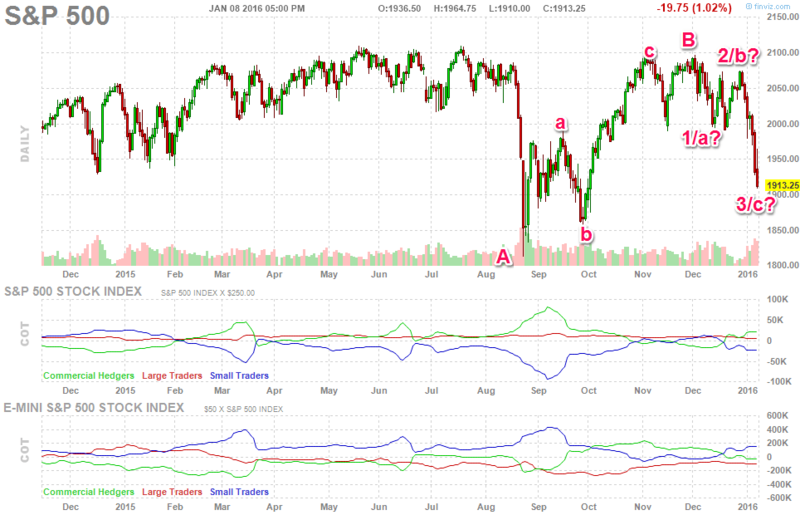 What follows next is the 5th wave down, which in this case drops below 1900 towards 1893 before a bounce.